Providing you the best range of Conference Chairs such as Conference Chair, Black Conference Chair, Workstation Conference Chairs, Blue Conference Chair and Office Conference Chair with effective & timely delivery. 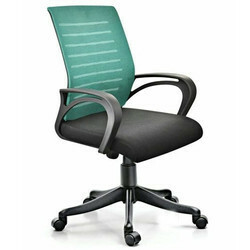 Our advanced quality range of Conference Chair is provided in various colors and designs. Our products are optimum in appearance and are manufactured using superior grade materials. They are comfortable, advanced in colors, varieties and are supplied on huge market scale. We ensure superlative collections in advanced designs at profitable market pricing. 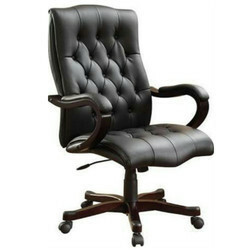 We ensure advanced quality range of Black Conference Chair provided in modern and comfortable designs. These are largely used in corporate offices, commercial sectors and institutions for various conferencing requirements. We follow the market developments and provide unmatched products in wide varieties at the beneficial market pricing. We are the prominent choice of the market and provide high quality range of Blue Conference Chair. These products are comfortable, advanced, superior in designs and are long sustainable. They require no special maintenance and are provided on large market scale. We supply quality assured products which are advanced in appearance and are attractive in market pricing. Available Color Orange,Yellow,Sky Blue,Red,Green etc. Being one of the renowned organizations in the industry, we are highly engaged in providing a premium quality range of Modern Director Chair.